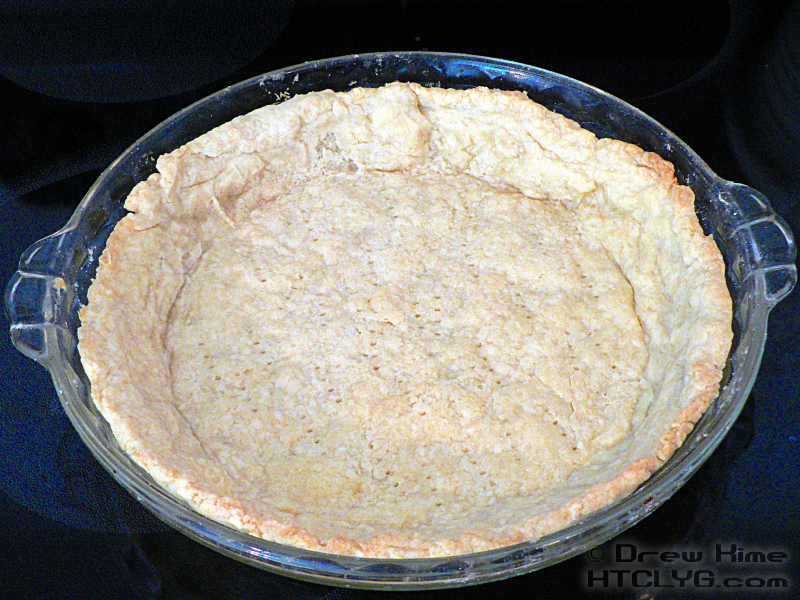 When it comes to summer, everyone thinks about apple or rhubarb pie. But chilled pies are good, too. 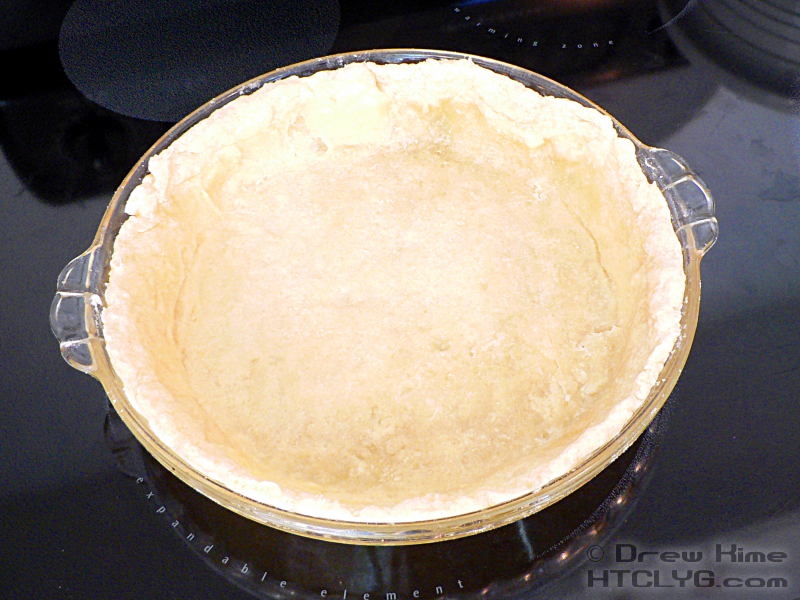 So it’s handy to be able to do a pre-baked crust. Follow the directions from the earlier post on making pie crust from scratch. 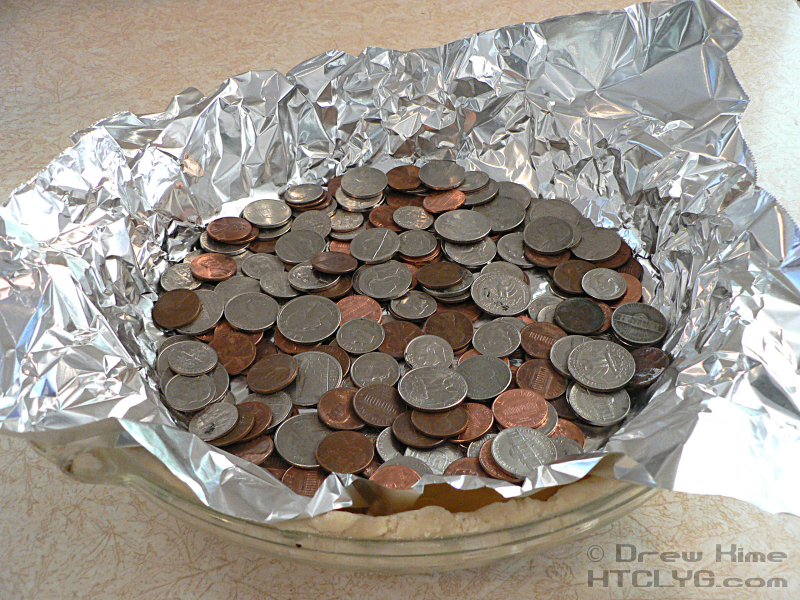 After rolling out the crust, press it into a pie plate. 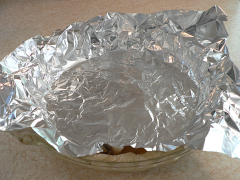 Pinch the edges onto the top of the plate, just like I didn’t do above. You’ll see why in a little bit. 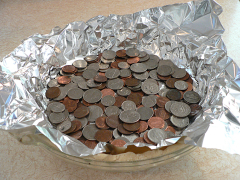 Line the crust with foil, and fill the bottom with unbaked beans or coins. 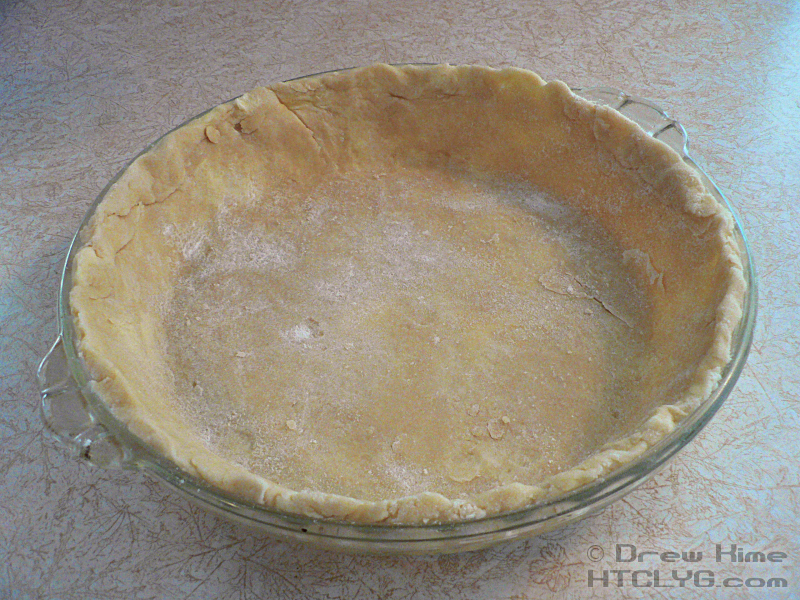 The idea is to have enough weight on the bottom that the crust doesn’t rise when you bake it. 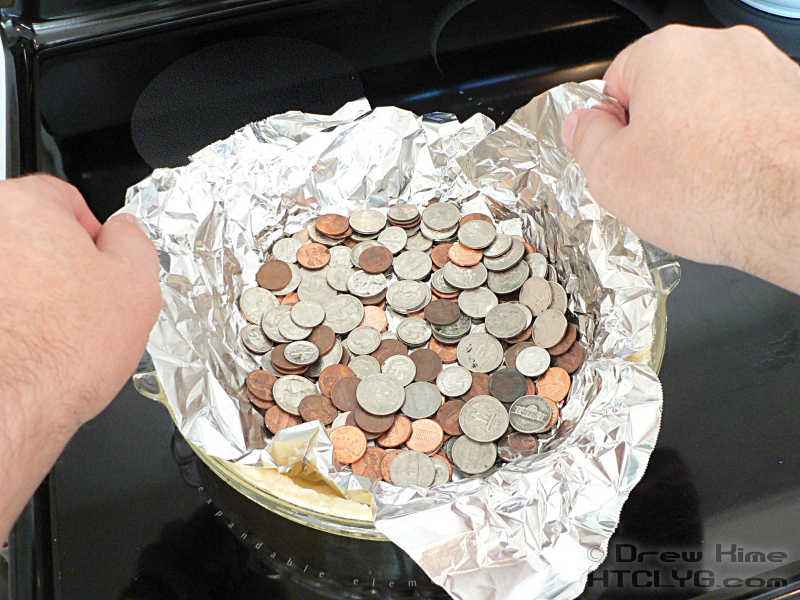 Bake at 325° for 15 minutes. 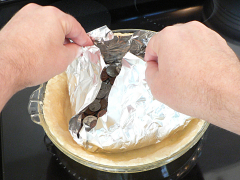 Carefully lift out the foil. Remember, the coins (or beans) will be hot. 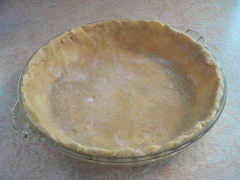 You can see in the next picture that the sides have started to slide down into the plate. Not enough to make it unusable, but it won’t look as good. 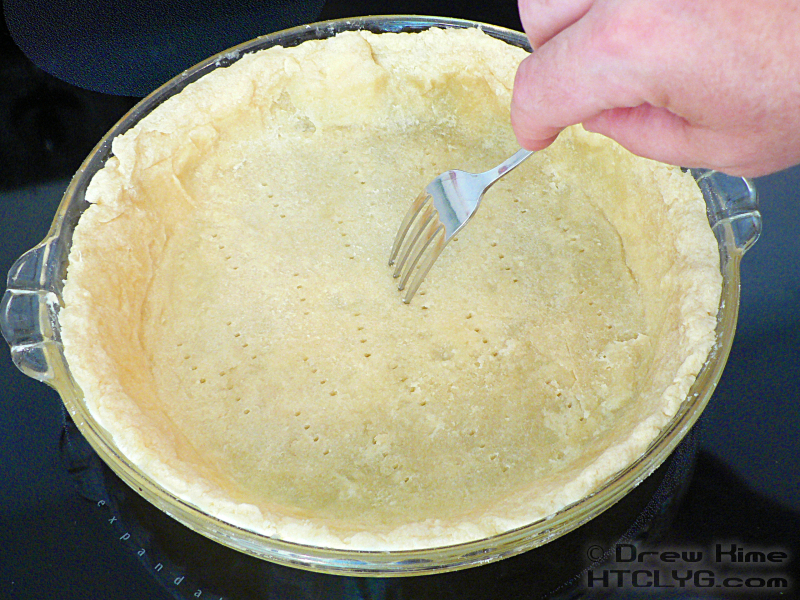 This is why you have to pinch the edges to the top of the plate. 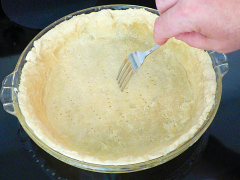 Prick the bottom with a fork to let steam out while it continues baking. Again, this is to keep it from rising. Bake for another 10 minutes, or until the bottom looks dry and the edges start to turn golden-brown. Come back tomorrow for the filling. It’s worth the wait. 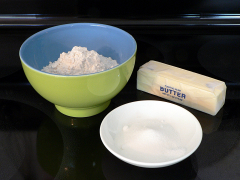 Sign up to get it by email using the form in the column to the right.